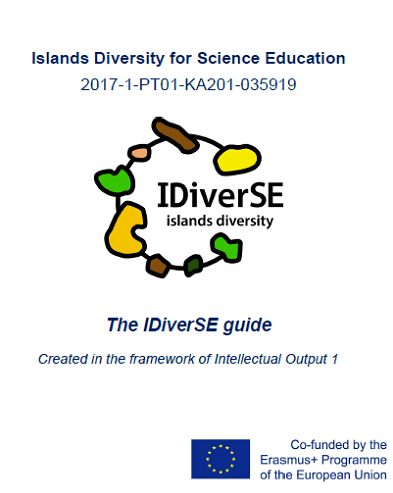 This document describes several methodologies, such as Design Thinking, Inquiry, Interdisciplinarity, Personal Geography, Collaborative Inquiry and Science Trails in a coherent integrative methodological approach, used in IDiverSE. 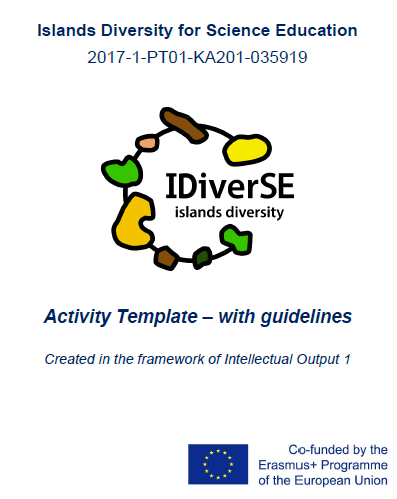 This document describes the activity template used in IDiverSE with specific guidelines and tips for teachers and authors of activities. Both Intellectual Output 2 and 3 relate to the creation of activities, directed to the students, with guiding documents for teachers, which use the integrative methodology described in Intellectual Output 1. These activities aim at providing students the opportunity to learn school content in a relevant and meaningful approach, while collaborating with colleagues from other places of the world in an Inquiry and Interdisciplinary approach. All the activities follow the Design Thinking methodology which aims at giving students the skills and know-how to create successful outcomes of their school work, with the involvement of the community in a paradigm like: "working with and for the community". Often when implementing innovative learning methodologies, teachers find difficulty in assessing their students. Considering this, although not directly predicted in the co-funded outputs of the project, the team considered extra-relevant to provide teachers with a full operational and effective assessment approach.